Download Flyer Mockup Template PSD. A set of flyer mockups, ideal for showcasing your flyer and poster designs in single mockup scene. With this Flyer Mockup you can showcase your 2 flyer design stack on top of each other in a photorealistic way. This Free Flyer Mockup PSD comes in a High-res, layered PSD file which includes smart objects for easy editing. 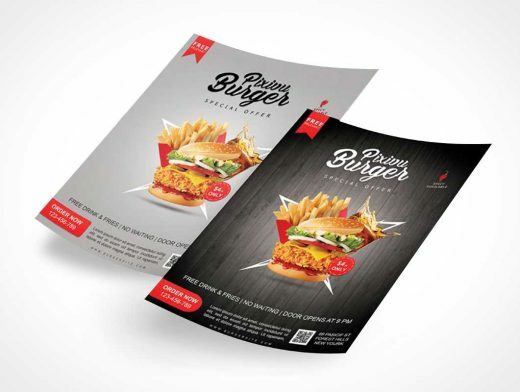 It has prospective view of a Flyer and poster mockup floating above the surface which will give your flyer and poster design a unique look.